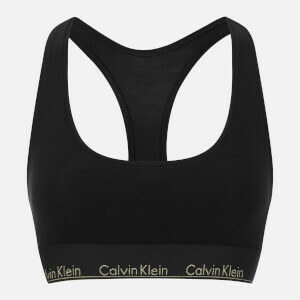 Women's unlined bra from Calvin Klein. 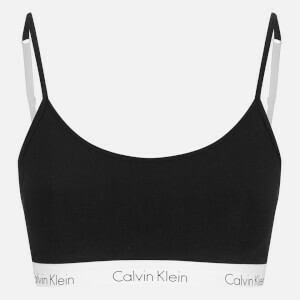 Crafted from stretch cotton, the triangle bra features a front clasp fastening and adjustable, convertible shoulder straps for versatile wear. Complete with front darts and the label's signature trim logo print. Unpadded.